Waymon Tisdale recently passed away. The legendary jazz great and NBA star was eulogized in his special way.Combining his two greatest loves , basketball and jazz. Words can not properly express .RIP Waymon. she transcend party politics. The waterboarding issue is now becoming bigger than itself. First,do we use enhance interrogation techniques(the politically correct term for torture),second when and what was the Speaker told.Now due to her inept and bad press conference Madame Speaker Pelosi has caused the political sharks to attack.Pelosi has indeed had a performance that has weakened her political credibility in this issue.If presentation is worth points,Madame Secretary lost valuable points this week. I have had some requests from some of readers to post other entertainers who have performed at Nokia in Grand Prairie,Texas.One of the best concerts of 2008 was the Jamie Foxx concert. Mr.Foxx is originally from Texas,where he was formerly known as the star quarterback for Terrell, Texas High School.It was there that he set records as the first quarterback for pass more than 1000 yards in a season. Foxx ,raised by his maternal grandmother developed his singing credentials while singing in the church choir.The early 1990's saw Foxx starring in the comedy series "Living Color".Jamie gained attention and notoriety while being one of the promising comedians of that era.After the completion of the series he starred in the "Jamie Foxx Show" where his music was sometimes featured. 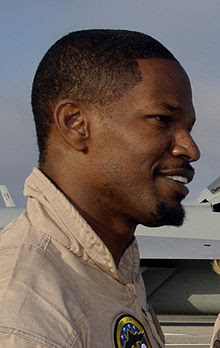 Jamie is best known as a comedian but now his talents now include serious accolades as a Academy Award winner for his portrayal Of Ray Charles in "Ray".Take a look at the comedic genius and singing talent of Jamie Foxx as he makes us all laugh at the Comedy Corner. 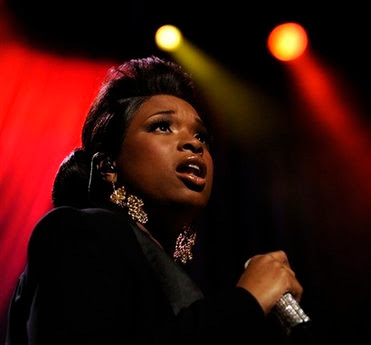 American Idol singer,and Oscar Award winner Jennifer Hudson will appear in Grand Prairie next week.She will be appearing @ Nokia Live ,the center of the metroplex with Robin Thicke.In honor of the upcoming concert,we bring you the Jennifer Holliday collection. As they say down in Texas,"this girl can sho nuff sang." Chuck Daly,the former head coach of the Detroit Pistons died today,he was 78 .Daly was elected to the Basketball Hall of Fame in 1994. Coach Daly was known as the gentleman's coach for the renowned "Bad Boys" led by Issiah Thomas and Joe Dumars. "I never understood how a great man and nice guy coached the Bad Boys,”Charles Barkley said.The"Bad Boys"consisted of Dennis Rodman,John Salley, Rick Mahorn ,and Bill Laimbeer,and Vinnie Johnson . 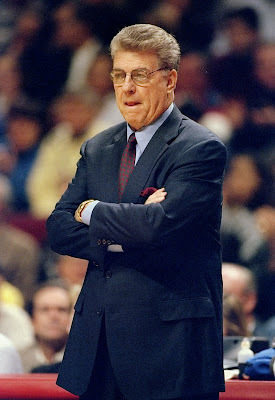 Daly was known for being the calm presence that moderated the "Bad Boys" to championships back to back in 1989-1990. The Daly resume consisted of an impressive career regular-season record of 638-437 in 13 NBA seasons. In 12 playoff appearances, his teams went 75-51. Daly further cemented his claim to fame by coaching the 1992 "Dream Team "to a gold medal in Barcelona.The Dream team was just that a team that coasted to victory by scoring over 100 points a game and covering a 43 point spread. Magic Johnson, Larry Bird ,Michael Jordan ,Charles Barkley Patrick Ewing. The back ups were Scottie Pippen, David Robinson, Chris Mullin, Karl Malone and John Stockton. A"Dream Team" indeed Daly did not call a timeout during the tournament. Daly died today surrounded by his family and mourned by fans across the globe for his class and coaching acumen.Coach Daly,thanks for the memories. Dr. John Hope Franklin the prominent scholar recently passed away.John Hope Franklin was known in the educational field for his scholarship in chronicling the African American experience.Mr. Franklin was best known for his book "From Slavery to Freedom" first published in 1947 and continuously updated to the present . "My challenge," Dr. Franklin said, "was to weave into the fabric of American history enough of the presence of blacks so that the story of the United States could be told adequately and fairly." Dr.Franklin was born Oklahoma in 1915.Franklin graduated from Fisk University in 1935,and later earned his doctorate from Harvard University in 1941. Dr. Franklin was a member of the Alpha Phi Alpha fraternity.Dr. Franklin served in an educational capacities Brooklyn College,Howard University at University of Chicago,Duke University. His scholarly works in history were recognized by Phi Beta Kappa where he served as the President of the United Chapters of Phi Beta Kappa.Dr.Franklin was also on the Board Of Trustees of Fisk University. Dr.Franklin provided the research that aided in Thurgood Marshall and fellow members of the NAACP Legal Defense Fund in developing the sociological and legal case in Brown v.Board of Education.President Bill Clinton presented Dr. Franklin with the Presidential Medal of Freedom.Dr.Franklin joined the Omega Chapter of Alpha Phi Alpha on March 25 ,2009.My fraternity brother may you rest in Peace. Bea Arthur recently passed away. Bea won two Emmy"s in her longstanding career , the first as "Maude" and the second as a "Golden Girl". Bea Arthur gained fame in both decades by playing outspoken women.The first was Maude,the spicy ,outspoken antagonist in the "Maude" series of the 1970"s. "Maude" was a spin off of the popular "All in the Family" sitcom. "Maude" was a landmark series because it featured a strong minded ,independent , political liberal woman. The show addressed many of the 1970's topics such as abortion. 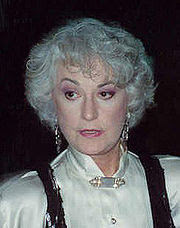 In the 1980"s Bea Arthur starred in "The Golden Girls" ,with Rue McClannahan ,Estelle Getty,and Betty White.The show was instrumental in socializing American pop culture,that women can and often grow old with grace and humor.The program was one of the first that showed older women as fully engaged women in all aspects of life.